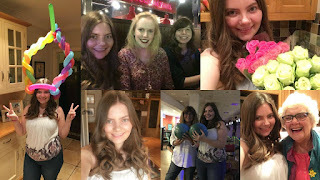 I don't know if you've noticed but so far throughout summer I've been posting (at least) one vlog a week, every Monday, over on my YouTube channel. It was one of my summer goals to try and vlog regularly and I am so glad that I have stuck to it. It's been a little challenging at times and I'm still not always comfortable vlogging in public, as in talking to the camera with it facing me, but I am slowly but surely remembering to record and not just take pictures! I used to post all the vlogs over here on my blog too and share a write up of the day/week along with pictures but I just have so much to write about and so little time, that I've started to just post them over on YouTube. If you miss the pictures, let me know in the comments below and I may write them up as well. 4 posts a week? But until then, be sure to subscribe to my YouTube channel so you don't miss any and be ready at 5pm every Monday for a new vlog. 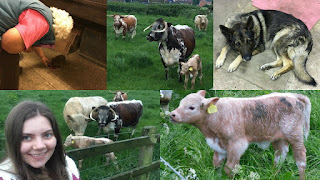 I've listed my most recent vlog down below in case you've missed it: Newborn Calves and Pet Hedgehogs! This week's vlog is my time at Wimbledon and next week's is going to be a London vlog with my mum on her trip up her. 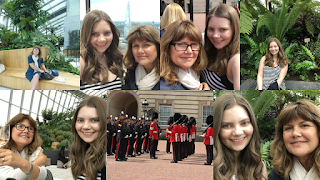 Changing of the guards at Buckingham Palace, Sky Gardens and buskers at Covent Gardens...it was defintely a fun day! Don't forget, I also post Flashback Friday videos every Friday too! Click here for the playlist of blog posts or videos. Plus, have you noticed my new thumbnails? What do you think? I usually just let YouTube pick them but I've been editing the day on PicMonkey using a collage on 1280 x 720 size and it takes about 5 minutes. Here are the ones so far. click on the pictures to be directed straight to the vlogs.